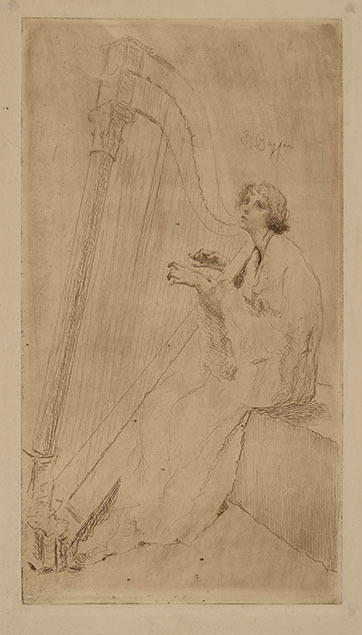 Etching, Mezzetti 30. A very good impression in sepia ink, printed with tone on wove paper. Signed in the plate E Bazzaro. To the platemark 368 x 201 mm, the entire sheet measuring 492 x 324 mm. With large margins. Minor defects at margins, generally in very good condition. 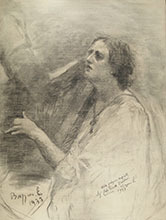 This etching is certainly connected with the portrait of Carla Cardani, a large drawing by Bazzaro offered on my web site. 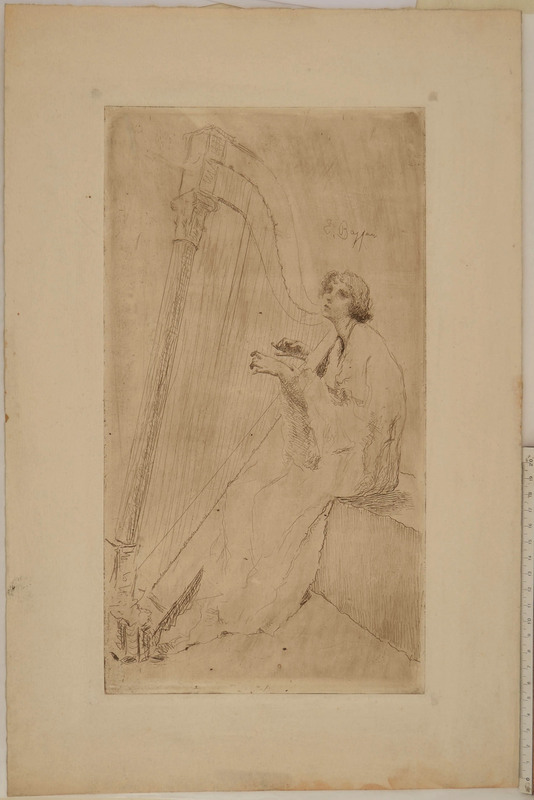 Both, the etching and the drawing, are connected with the stele done by Bazzaro for the tomb of the Milanese painter Arturo Ferrari (1861-1932).